Paul began work at the new EC3 on the 1st of February 2013. He is the Head of Cybercrime Operations and Intelligence at the new EC3. His duties include the coordination of serious Hi technology crime operations in partnership with the EU Member State Law Enforcement Agencies. Paul was the head of the Garda Síochána (Irish Police Service), Computer Crime Investigation Unit (CCIU), a specialised unit within the Garda Bureau of Fraud Investigation charged with investigating computer-related crime. A member of An Garda Síochána since 1983, Paul has been working in the area of Computer crime investigations since 1996. 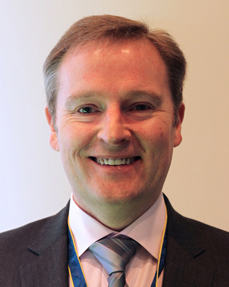 Paul Gillen was the Chairperson of European Cybercrime Training and Education Group (ECTEG) at Europol. Paul was also the Vice Chair of the European Union Cybercrime Task Force (EUCTF) at Europol. Paul holds a Master of Science degree from the School of Computer science and Informatics from University College Dublin (UCD). Paul was the project manager on a Falcone Project co funded by the EU Commission and the Irish Department of Justice and Law Reform, this project published three reports one of which outlined the requirement for the development of cybercrime training for specialist investigators within the EU. Paul was also the project manager on a further AGIS co-funded project in 2005/2006 which has developed and delivered academically accredited training for cybercrime investigators across the EU. Paul is currently the project manager for the EU Commission ISEC project for the upgrade of the ECTEG Foundation Course in Forensic Computing and Network Investigation for law enforcement within the EU. Finally Paul was also recently selected as part of the Irish Centre of Excellence for Cybercrime under the EU funded 2CENTRE project. Paul was also the chairman of the academic advisory board for the MSc degree for law enforcement cybercrime investigators internationally at University College Dublin. Finally Paul was the project manager of an EU funded project to develop a harmonised foundation course in forensic computing and cybercrime investigation for EU LE this project was finalised in June 2013.